Nancy Meyer's Illini Bluffs girls softball team finished the season with a 32-4 record and took home a 4th place IHSA Class A state tournament trophy. Nancy's Tigers blew away the ICAC and Tomahawk conference competition, winning both, while also walking away with titles from the Delavan and Washington tournaments. In addition, her volleyball team captured a regional title while completing a 16-9-1 campaign. 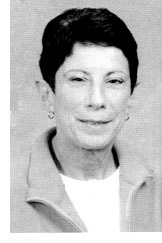 Meyer, currently in her 6th season, has carved a 134-26 career softball record at the Glasford school. A four-year letterman in football, basketball, and track at Richwoods High School, Telander went on to earn all-Big Ten Conference academic honors as a football player at Northwestern University before launching a successful writing career. 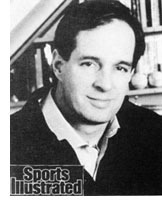 Telander joined the staff of Sports Illustrated in 1974, and eight years later became a senior writer for the weekly magazine. He also had three books published to date: "Joe Namath and the Other Guys,î" "The Hundred-Yard Lie," and "Heaven is a Playground," the latter adapted into a moving picture. A regular panelist for ì"The Sportswriters on TV," (Sports Channel America cable), Telander was drafted in 1971 in the eighth round by the Kansas City Chiefs of the National Football League. "That didn't last too long, which was pretty much OK with me," said the veteran starter at cornerback for the Northwestern Wildcats. In 1970, Telander helped Northwestern come within one-half of an unbeaten conference record, only to have Ohio State rally for the victory and the trip to the Rose Bowl. As a junior at Richwoods, Telander played end in football and was a starting safety-quarterback as a senior. He also played against the 1967 Pekin state basketball championship team that tonight enters the Hall of Fame.